…And much more. A call for papers for Arm TechCon. The technology sector has no equal in the ability of its people to visualize what might be possible and then make it happen fast. If we were sorting out the common cold, the sniffles may already have been relegated to the past. Maybe that’s a claim too far but while imagining the future has always been a feature of our world I think we’ve gone into overdrive in the last few years. From artificial intelligence and machine learning to edge computing to security, autonomous vehicles, continued mobile innovation and a trillion connected IoT devices on the horizon, we are moving so quickly that we’re often having to calm regulators down so they don’t stifle innovation that will take years to deliver fully. In artificial intelligence and machine learning, it is starting with the most granular – what kind of processor will be best for optimal machine learning computation? – and the philosophical: What ethical and social constructs must we consider when building ML algorithms and using AI in general? In IoT, how do we scale to a world where 1 trillion connected devices exist in a global data-generating lattice? For the folks delivering on the technology challenge, it’s a math and physics puzzle. For business leaders, it’s about how data can transform how they operate. There’s no doubt some of the things we’re wrestling with are specific to industries. If it’s working out how to track a million goods pallets around the world, then efficiency and scale are critical. If it’s tracking a heart patient through a hospital, identity is a life and death factor. But there are horizontal challenges too and the biggest of them all is security. Dark forces have gathered and are growing like poisonous mushrooms. It’s become clear in the past year that a concerted, industry effort is required to deliver the type of end-to-end security solutions that consumers will have confidence in. How do we get there? There are also various considerations in expanding edge computing as we seek to capture and unleash more data for business insight. Among them are what compute capabilities are best deployed where and how do we continue to ensure that solutions are power- and compute-efficient? SemiEngineering Technology editor Kevin Fogarty recently published an excellent view of the current landscape. And also, as design rapidly blossoms for semi- and completely autonomous vehicles what are the best platforms and functional safety approaches design teams need to consider? SemiEngineering Executive Editor Ann Steffora Mutschler recently shined a bright light on one particular aspect of this trend when she wrote about autonomous vehicle reliability. All of this is part of a vital and never-ending innovation conversation we have in our industry, which threads its way through technical and white papers, blogs and news and feature articles, water-cooler conversations, all the way to industry events. It’s one thing to read about the innovations and technology directions; it’s quite another to directly contribute your insights and knowledge to that conversation. You get a pride of ownership and the lasting sense that you’re contributed to something greater than just yourself, your engineering team or your company. One of the most important venues for the technology conversation in our industry, Arm TechCon, is now accepting paper, presentation and panel submissions for its 2018 event to be held Oct 16-18, in San Jose, Calif. Arm TechCon is the world’s largest event focused on Arm and its partners’ technologies. This group has become one of the most effective and efficient vehicles for driving the innovation conversation forward, year after year over the last quarter of a century. Now’s your time to contribute to the conversation! 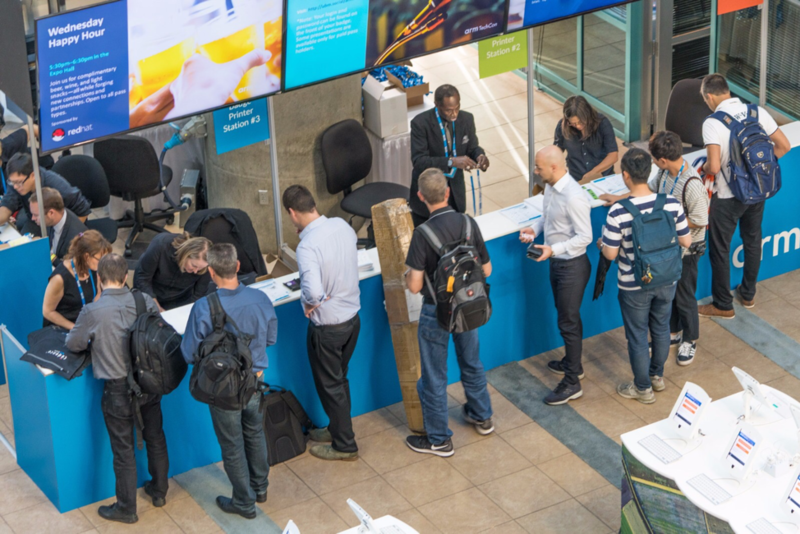 The Internet entrepreneur Drew Houston once said, “A lot of really great, innovative things have happened when people just didn’t know it wasn’t supposed to be possible.” That’s the spirit of our industry and it’s alive and well this year at Arm TechCon. So, submit your paper ideas and become one of the more than 100 speakers educating and informing the Arm community on a diverse range of real-world challenges facing software developers, hardware engineers, and executive managers. And maybe, just maybe, as part of that conversation we’ll come up with a cure for the common cold.